“By conducting discussions in this manner, the President enabled private citizens without security clearances to potentially overhear sensitive or classified national security information,” Sens. Elizabeth Warren, D-Mass., Sheldon Whitehouse, D-R.I., Tom Udall, D-N.M., and Rep. Elijah Cummings, D-Md., wrote last year. 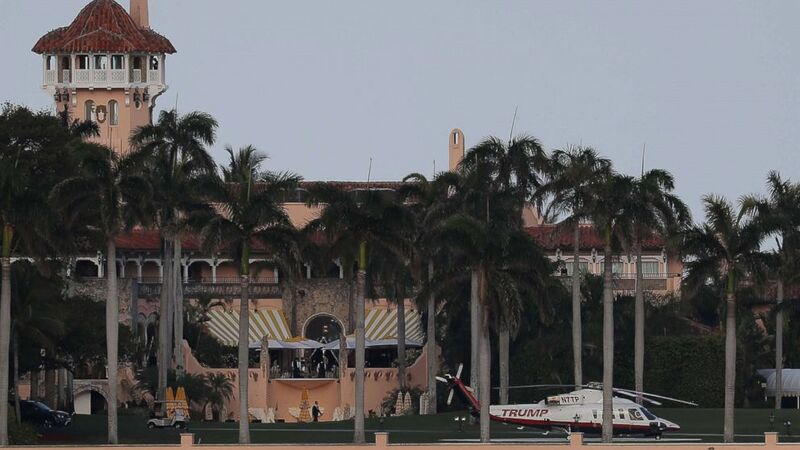 Around the club grounds, the Secret Service, Coast Guard and local law enforcement patrol the adjacent waterways and entrances to Mar-a-Lago, requiring guests to pass through physical checkpoints depending on the president’s location. The Secret Service also “routinely” conducts background checks of Mar-a-Lago staff, along with other workers and individuals who work in secure areas but might not necessarily interact with Trump. On Tuesday, the GAO released another report conducted at the request of Democrats that found that the government spent nearly $14 million on Trump’s four trips to Mar-a-Lago in February and March of 2017, providing the clearest accounting to date of the price tag associated with Trump’s travel to his properties. In 2016, the GAO estimated that a four-day trip President Barack Obama took to Chicago and Palm Beach in February 2013 cost about $3.6 million, and that’s been used as a baseline to estimate the cost of presidential travel. The GAO’s report on Wednesday, which also examined whether the president has donated hotel profits from foreign governments to the United States Treasury, found that the Trump Organization made one lump sum payment of $151,470 to the Treasury on Feb. 22 of 2018. The organization announced that donation in March of 2018. The GAO said the White House counsel’s office did not provide any requested information to the agency on security protocol at Mar-a-Lago or payments made to the Treasury by the Trump administration.